IS GERRYMANDERING HURTING OUR DEMOCRACY? 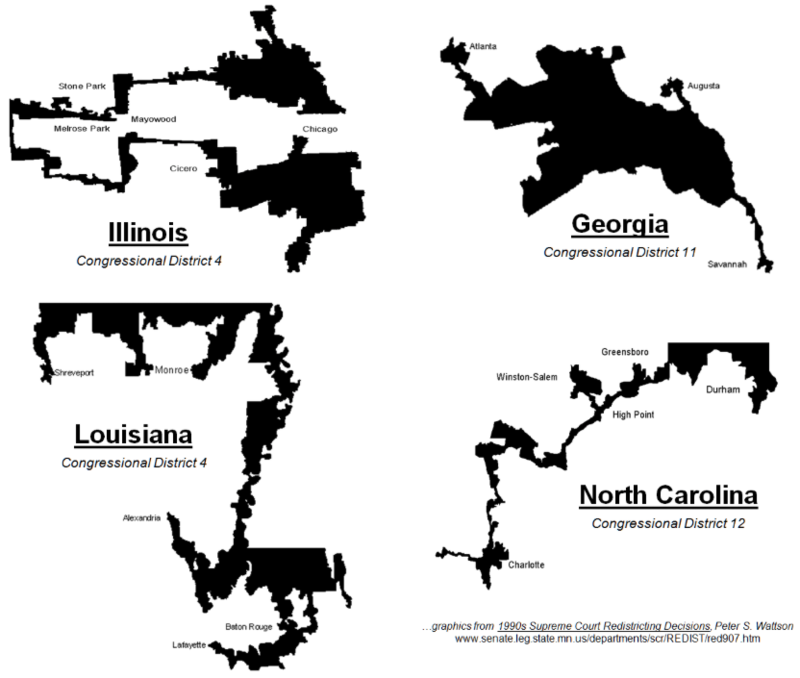 Both political parties engage in gerrymandering when they are in power. To improve the chance of their candidate’s reelection, they draw up better redistricting lines that leave more of their voters in the Congress member’s district. This may lead to some strange shapes of voting districts. Republican candidates get a better chance of getting reelected if their districts contain more suburbs, while Democratic candidates benefit by including more of a major city in their district.